There are currently an estimated 33,000 anesthesiologists in the United States. The anesthesiologist job market is expected to grow by 15.5% between 2016 and 2026. CareerExplorer rates anesthesiologists with a C employability rating, meaning this career should provide moderate employment opportunities for the foreseeable future. Over the next 10 years, it is expected the US will need 6,200 anesthesiologists. That number is based on 5,100 additional anesthesiologists, and the retirement of 1,100 existing anesthesiologists. Overall demand for anesthesiologists is projected to be moderate; however, those willing to work in rural communities will encounter better job prospects. As is the case for most medical professions, growth of the occupation may be affected by changes in insurance companies’ health coverage policies. Simply stated, higher out-of-pocket costs may prevent patients from seeking services, particularly elective procedures, and may potentially reduce the need for medical practitioners in general. On the other hand, evolving technology may allow for treatment of previously untreatable conditions and consequently increase both the number of surgeries and the number of employment opportunities for anesthesiologists. While most anesthesiologists work in hospitals or surgical outpatient clinics, positions also exist with research institutions to study and improve anesthesia procedures, monitoring guidelines, and equipment. In addition, as people live longer, more active lives and refuse to accept pain as a natural part of aging, some anesthesiologists are entering the growing field of pain management medicine. 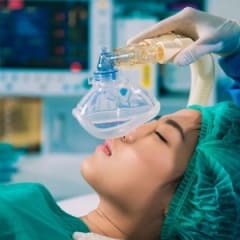 What’s the supply of anesthesiologists?